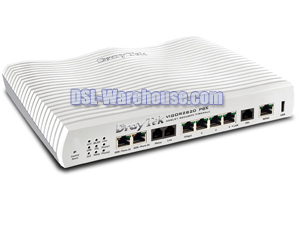 The DrayTek VigorIPPBX 2820 is an IP PBX integrated with DrayTek's full featured Vigor 2820 ADSL2+ Modem Router Firewall. 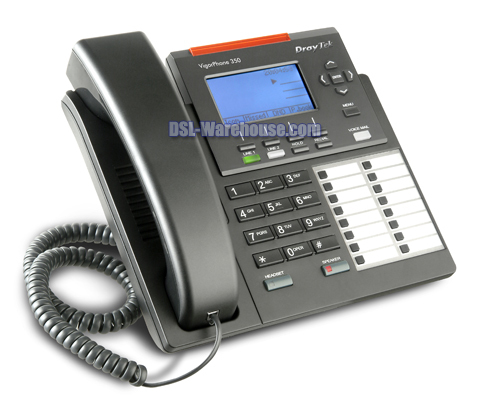 It offers a complete and affordable replacement of your legacy Small Business or Home Office phone system. 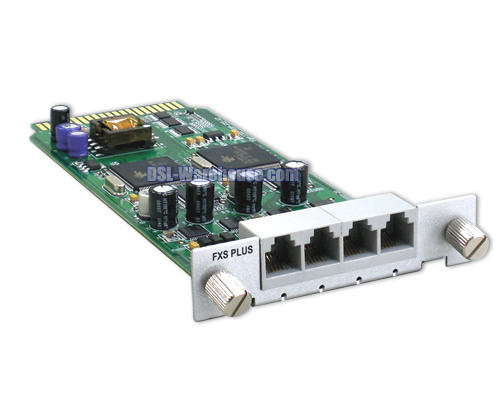 The 2820 IPPBX provides flexibility, robust features, reduces call costs / maintenance fees, increases productivity and efficiency. 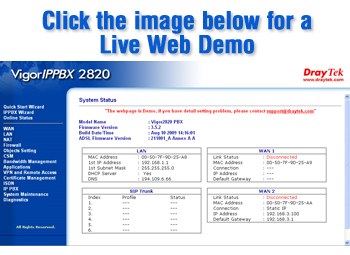 The Vigor 2820 IPPBX easily integrates into your existing network and utilizes the Internet to provide telephony, using Voice Over IP (VoIP) technology verses regular telephone lines and/or traditional PBX systems. 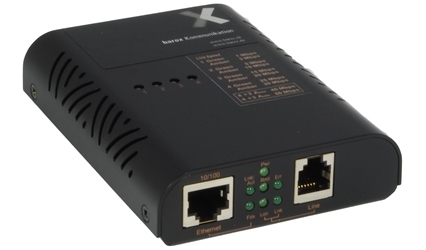 As mentioned above, the DrayTek Vigor 2820 IP PBX includes a built-in ADSL2+ Modem/Router Firewall, however even if you're not using ADSL to connect to the Internet; or if you already have a firewall device, you can still use the Vigor 2820 IPPBX for your VoIP telephony needs. 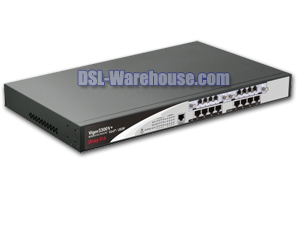 The second WAN port is standard Ethernet which can connect into your WAN connection. 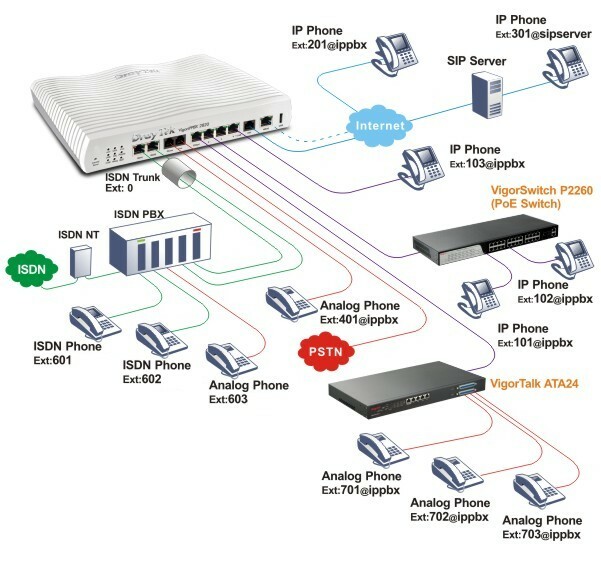 The Vigor 2820 PBX supports up to 50 extensions, local or remote. 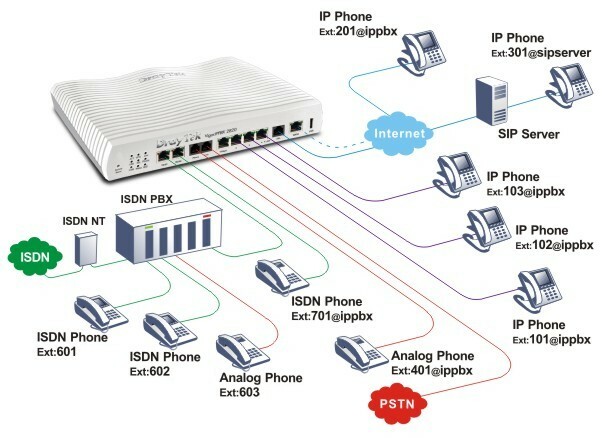 The Vigor 2820 IP PBX uses your existing network, no need for additional extension wiring. Calls can be transferred or diverted. 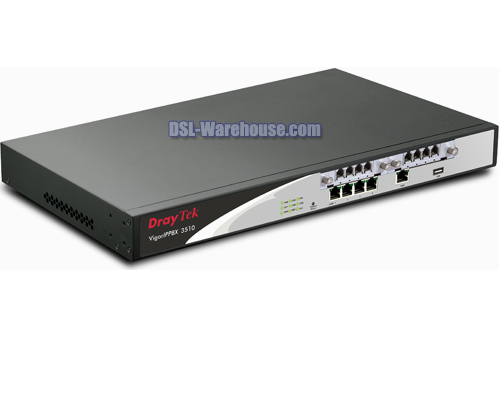 Extensions do not have to be in the same office (local) as the DrayTek 2820 IPBX, they can be anywhere in the world. 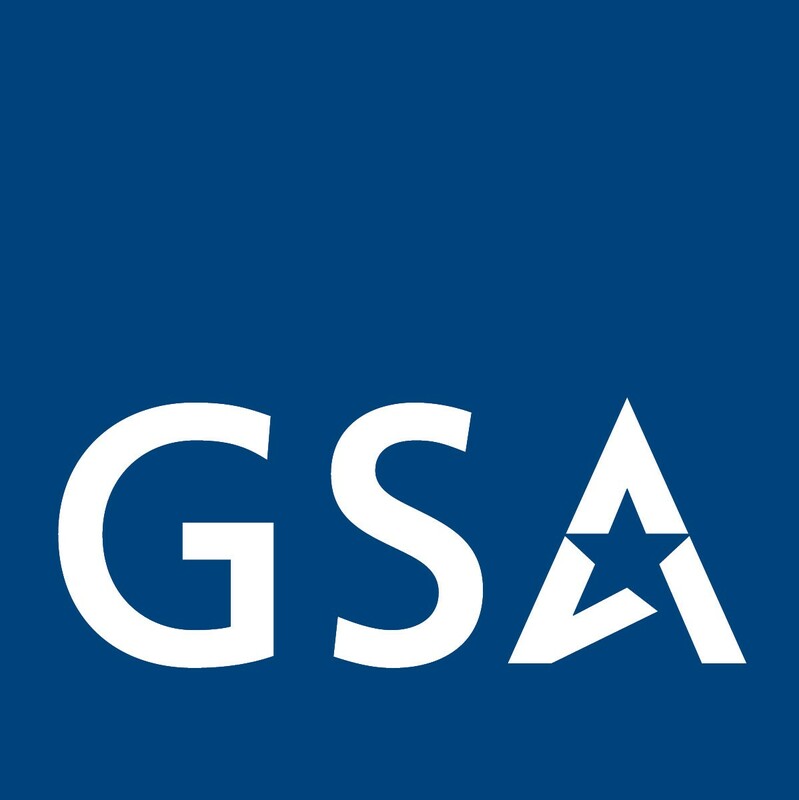 This is all done transparently so that calls can be made and received between transferred, distributed, or extensions. 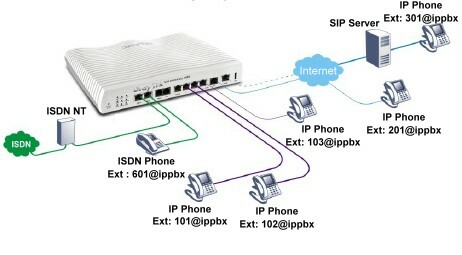 In addition incoming calls can be routed to any extension(s), whether they are local, or distributed in multiple remote locations. You can also set your extension to divert to another extension or group if not answered within a certain time. 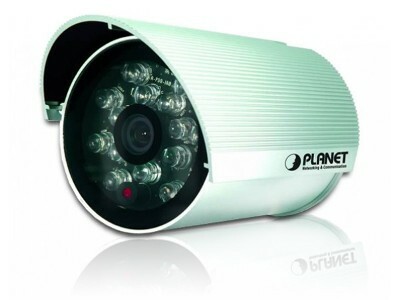 Extensions can also be part of a 'Group.' 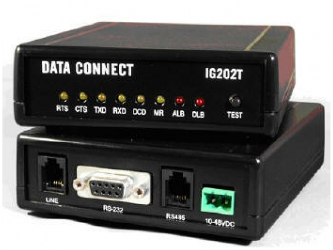 When calling a 'group' number, all extensions that are assigned to the group will be called. This is ideal for departmental usage. As an example; you can call the 'Inside Sales' group and all of assigned group members phones will ring, allowing anyone in that department to answer the call. 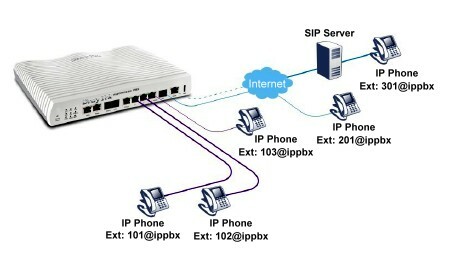 Voice-mail can be enabled on any extension to take messages when the phone is not answered or busy, the message can also be emailed, or it can listened to from the extension owners phone he or she returns. 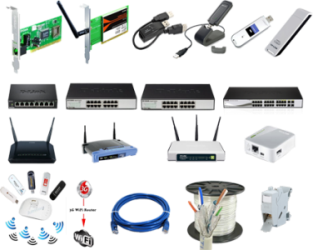 (file size 1.29 MB) - Right Click to save, or Left Click to read on-line. (file size 5.38 MB) - Right Click to save, or Left Click to read on-line.